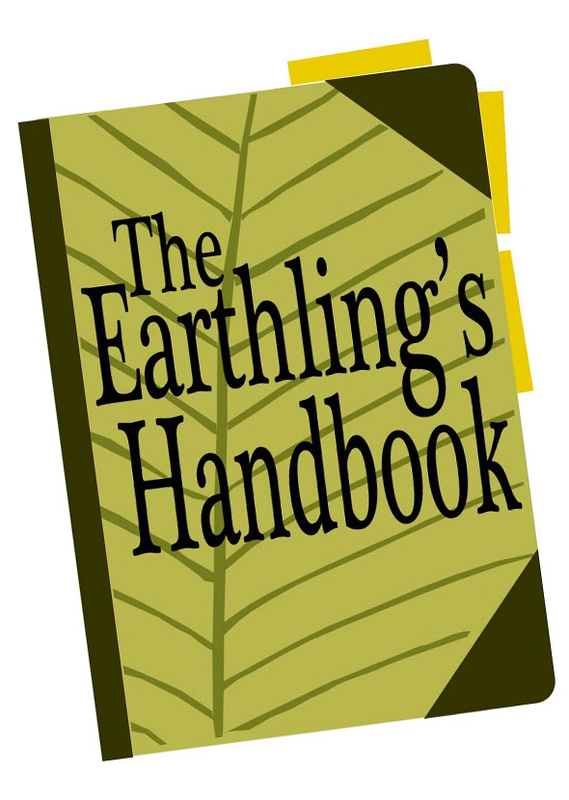 It’s great to hear from readers who say that The Earthling’s Handbook taught them some incredibly helpful idea that they use all the time now. That’s what I want to do! I want to make the world a better place by sharing things that work for me, especially things that help people conserve resources, eat healthy food, or raise better kids! Yay! But then there are the comments like, “You’re so inspiring! It’s amazing how you do it all!” or, “I want to be you when I grow up!” or, “You are such a great role model.” Yes, those are compliments, and I try to respond graciously, but my conscience shrieks with bitter laughter and this rap starts up in my head: Don’t you wanna grow up to be JUST LIKE ME?! No, you probably don’t. Eminem’s lyrics always make me feel a little better (there are a lot of things in there that I wouldn’t do! ), but still I’m acutely aware that I’m not perfect, actually I’m something of a basket case a lot of the time, a lot of my green-healthy-thrifty awesomeness is achieved by accepting experiences many Americans wouldn’t tolerate and failing to do things normal mothers do, I don’t sleep much, I plan to write many more articles than I actually do, at least part of my house is a mess at any given time, I often postpone eating until I’m light-headed and furious, I’m constantly making compromises and buying stuff you’d think I wouldn’t, I worry a lot and yell at my kids, my daily life is a constant climb up a teetering tower of I HAVE TO with occasional tearful gazes toward the distant sunset of I WISH and a lot of casual kicking aside of I NEED, somehow I never have time to get around to everything even though I’ve been unemployed for 10 months now, and I write run-on sentences sometimes and that’s nothing compared to the way I talk. I try to be real. I try to acknowledge some of my compromises so that, reading my instructions for doing something right, you’ll see that I don’t do everything right; therefore, you too can improve how you do one of the things without having to be perfect at everything else. I try to tell you what I’ve learned along the way so that it doesn’t look like I just started out doing it well. I’ve just published an article at Kitchen Stewardship entitled “Easy Tips to Get Kids to Eat Veggies and Want to Cook.” That title is engineered to bring in readers, and I’m feeling like a fraud because that’s not really what the article is about. It’s not a list of easy tips! It’s about how having a children’s cookbook, pretty much any children’s cookbook, helps to facilitate kids’ involvement in thinking about what we eat and how we make it, and helps them picture themselves doing kitchen tasks. And it’s about how one specific gimmick of food presentation got my kids to eat some veggies a few times. Sounds like a real winning strategy, doesn’t it? You can try this at home! You can be just like me! You, too, can have a 4-year-old who (as I admit in the article) eventually responds to your adorably arranged food by shrieking and pushing it away. Awesome. Yeah, so, I had already pitched this article about making cute smiling salads to motivate your kids to eat more veggies, and then not only did that tip quit working, but both kids have been refusing to eat most of the things we cook for dinner or even to come to the table. We struggle almost every day to have a normal family dinnertime! Our teenager fills up on instant noodles before dinner’s ready, while our preschooler insists she isn’t hungry and then whines for cereal. They’ll both eat nothing but carbs if we let them. So you see how all this modeling of healthy eating and home cooking really rubs off on the kids, damn it. My article on thrifty ways to find more space in your home includes a lot of photos taken from clever angles so you don’t see the clutter and dust raging out of control. And I wrote this helpful 3-part series on composting last spring, and then it turned out to be the year when some combination of weather and bad luck and improper green-brown balance turned one of my compost bins into a pit of stinking slime with bugs buzzing all over it, and you know what I did? I dumped it down the steep hill in the back yard, down into the part where we rarely go because the footing is so precarious, so that we couldn’t smell it anymore. Don’t you wanna grow up to be JUST LIKE ME?! Please. Be yourself, and read about the things I’ve tried, and I hope you’ll feel like you can try them too. Maybe some of the things I do will be too much for you, but also maybe you’ll turn out to be much better at some things than I am. I made a series of poor decisions about chopping ingredients. I delayed filing some papers for six years. I screwed up a parenting strategy. I made the worst dessert ever. I shoplifted from Office Max, temporarily. I had multiple unplanned pregnancies. I infected my hand with moldy tomatoes. I remembered at 11:22pm that I was supposed to serve coffee hour at church the next day. I screwed up baking brownies and had to figure out how to turn them back into something edible. I smashed my hand while recycling a television. You might notice that many of the above incidents involve my having a headache or some other type of distracting pain. I tend to push myself to do what I said I’d do even if I don’t feel up to it, and these are the fruits. I don’t recommend this approach at all. Please be kinder to yourself than I am. Please help your loved ones when they are suffering and overloaded. But on the other hand–chronic pain or illness often makes people feel useless, and sometimes it’s valuable to get something done even if you don’t do it as well as you wanted to. At least it makes a good story…. I don’t “do it all.” I do half of what I planned, less than what I dreamed, never enough. But it’s more than I’d do if I didn’t even try. My hope is that I’m inspiring you to try and I’m not presenting myself as so good at it that you couldn’t do it, too, or do something like it in your own way. Life should always be a work in progress!